I did not see anything in the files about this particular thing but my question for a 2005 T-1950 is it s 6 way or 7 way plug? Or even something else? 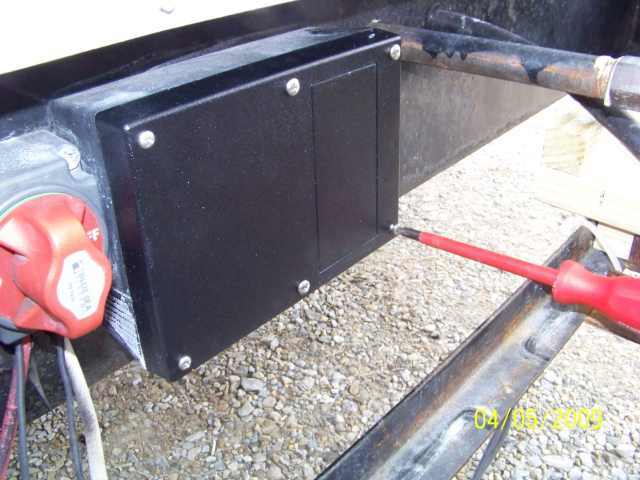 My trailer is stored now so I can't look but I am thinking once I know for sure, It there a junction box? 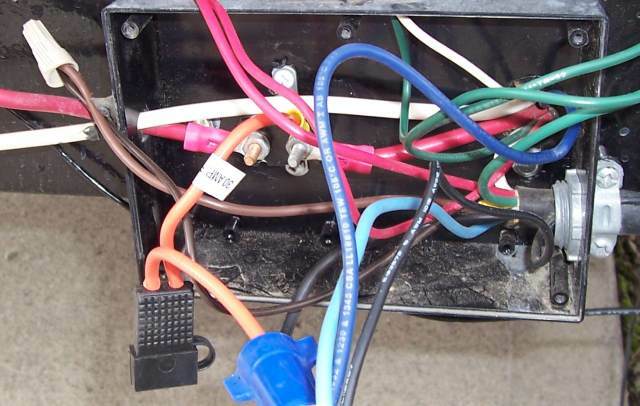 However, I am thinking of replacing it myself as it doesn't look complicated, just matching color wire to color wire. It most likely is a 7 pin they if nothing else are a bit more rugged. Do not go by the colors printed on a replacement 7 pin the number match but not so the colors. If your old one is in one piece cut the wires at the plug about an half inch long then match your color numbers to the replacements numbers. Your 2005 has a 7 wire connector. See the Bargman site here. I suggest you get the complete molded cord set for the best to keep water out of the plug. They do made just replacement ends, however I have not yet seen one very water tight. Some times we end up towing in the rain and you really do not want water inside that plug. 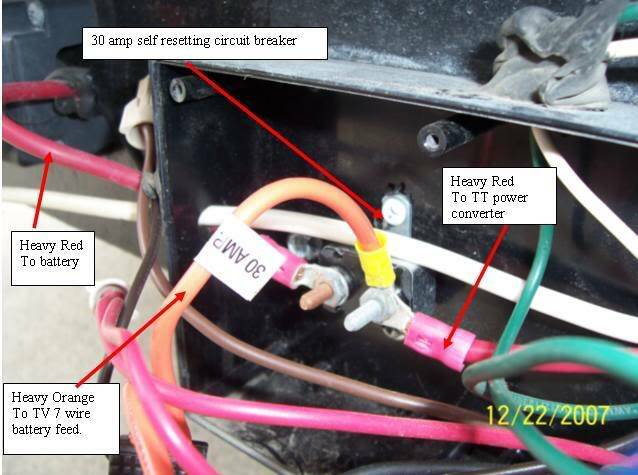 Scroll down to "7-Way Molded Connector w/ Cable - Trailer End". The part numbers start with 50-67-001 for a 6' lg and go up in length from there. They have various lengths. Measure the one on your camper now. 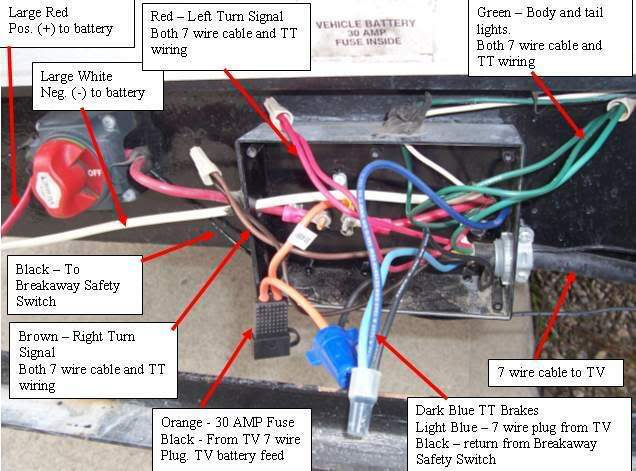 Find the Bargman part number then search for it on the web or a local auto parts or trailer place. That cord ties into the junction box on the A frame header behind the battery. I'm am "fairly" sure your looks like this. You may have a challenge getting the cover off unless your lucky. The cover if still on the original screws takes a tinny tiny Phillips screw driver and a long blade. 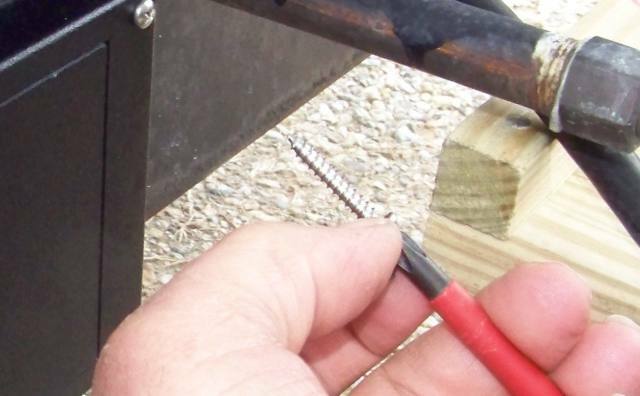 Dirt gets into the holes and makes a heck of a time getting the screwdriver into the screw. You need to dig out the dirt 1st. I used an old drill bit by hand. Not on a power drill. A straight blade screw driver may grind it out too. Push real hard when you go to unscrew the screws or they will strip. Once inside.... it looks like this. BTW, I did convert my junction box cover to different screws. Those little evil Philips never went back in. Converted to stainless sheet metal screws. If this interests you I'll hunt up the size. I cannot remember if it was a no 6 x 1" or a no 8 by 1"
If you need help, and your old one will be OK to make it to the M & G in May, we can help on the install. It is what us Sunliners do for each other.